This year the sociological research symposium will be celebrating its 10th anniversary. Since its first debut in 2008, the past 10 years alone has been an example of an extraordinary period of change. As social scientists, we strive to not only observe and document the world around us, but more importantly, to understand it. Rapid social changes in the past year urge us again to study the dynamics of our structured, socially patterned practices, and the mechanics that drive these evolving actions. Whether it was the mass mobilization against sexual abuse to the recent historic presidential election, political, social, economical, and scientific shifts are pervasive within our society. With the seemingly increased polarization of our world, the tensions that arise have significant impacts. In short, 2017 could be considered as the continuation or beginning of a Changing Era. What constitutes a Changing Era? Are we currently in a Changing Era, why or why not? How can we measure or track key points? As machinery and AI advance rapidly, how will the labor market evolve? What are the implicit and explicit consequences of public policy regarding, but not limited to religion, nationality, race, ethnicity, gender, and sexuality, and exclusion? How are the reactions to natural disasters or tragedies rooted in social fields and boundaries? With increased struggle, how can we individually navigate the conflicts of this Changing Era? With the increasing tensions and impacts of this Changing Era, the need for passionate social scientists is now more crucial than ever. 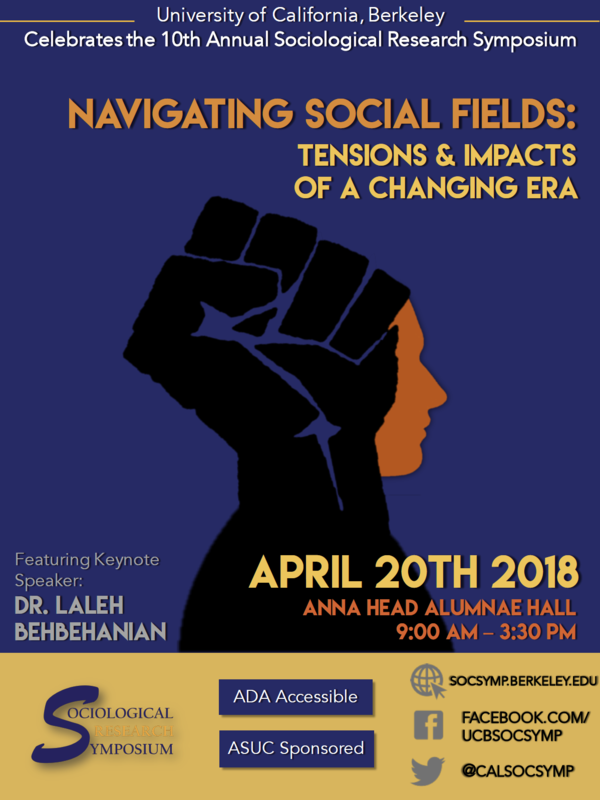 As such, the Sociological Research Symposium aims to provide a platform for undergraduate researchers whose scholarships have the power to question, document, and perhaps even change these tensions and impacts. Our mission is not only to encourage diverse, relevant academic research, but also an opportunity for constructive and inclusive discussions.